Notice: this part has been discontinued and replaced by part WA232E. Wi-Fi is one of the most common wireless technologies around, available almost anywhere. This is why it often makes sense to use a serial Wi-Fi adapter to create a wireless link to a serial device. 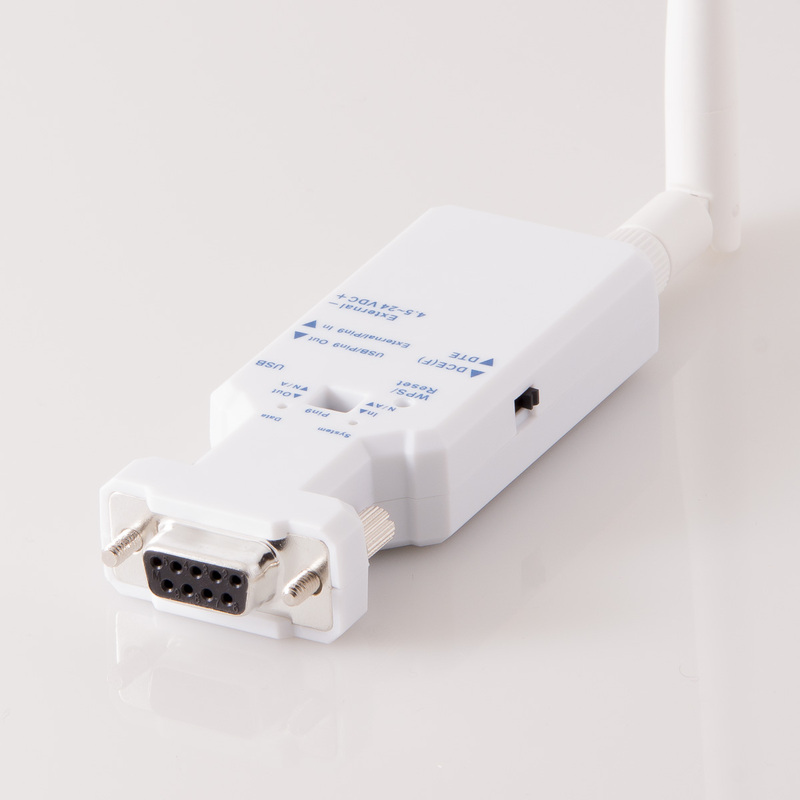 You can fast and easily connect the serial device via the serial Wi-Fi adapter to your existing network. 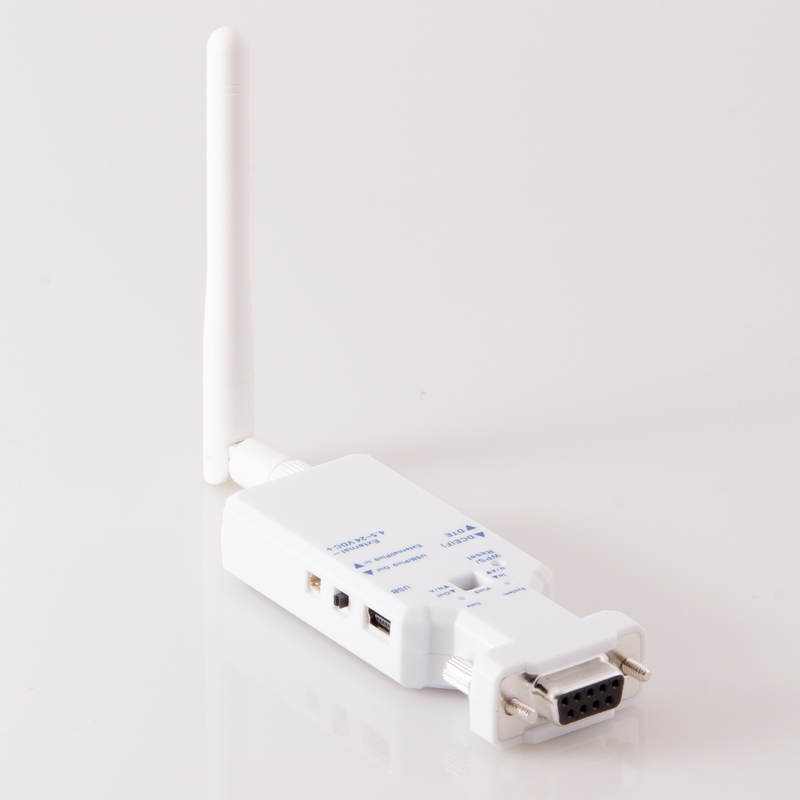 With this serial Wi-Fi adapter you can connect any RS232 serial device to a open or secure wireless network or access point by using 802.11 b/g/n infrastructure or SoftAP networking. The main processor module in this adapter is the new Broadcom BCM4390 processor. This module gives you a wide variety of features and configurable parameters, ensures reliability and lots of documentation and online support. This adapter can be powered either through the included USB mini cable or an external battery (not included). We also offer a 110VAC/5VDC power adapter with a mini USB connector, which can be used to power the adapter if you have an outlet nearby. Even this serial Wi-Fi adapter has many features and function it is rather easy to setup and use. The parameters can be configured over the air via WiFi. 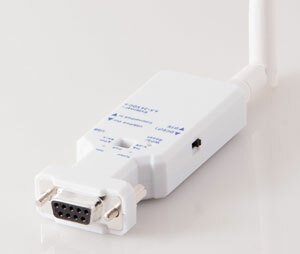 Once the parameters are configured to match your network and serial device you can simply connect to the adapter using Windows network manager or any 3rd party wireless management software, as if it was a regular access point. We also offer free COM port redirector software which will create a virtual COM port in your computer's Device Manager which can be used by your application as if it was a regular COM port. 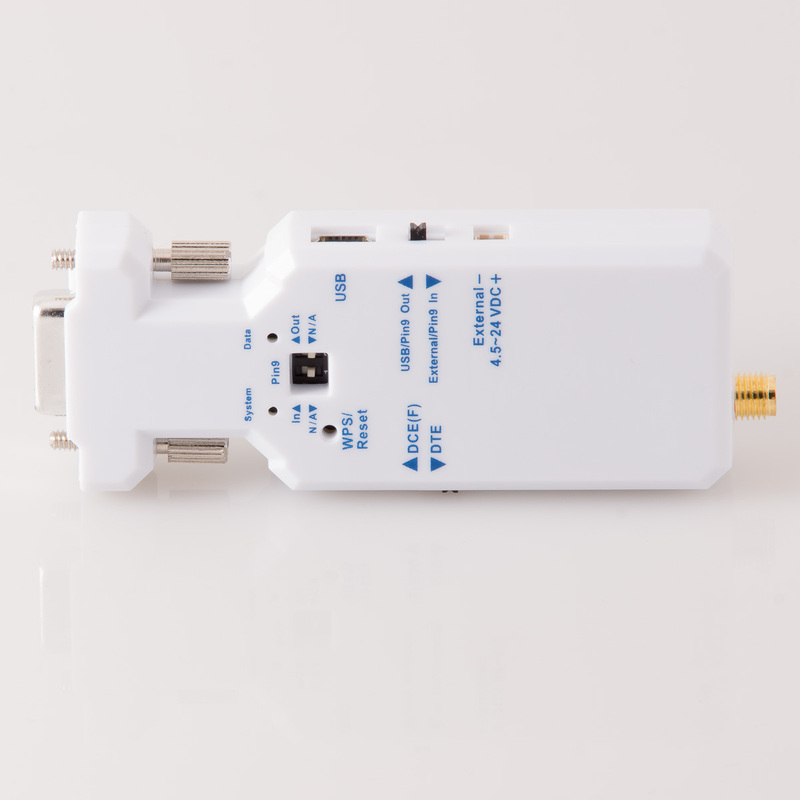 This serial Wi-Fi adapter can be used with most applications and devices such as iPhones, most smart phones, industrial machinery and devices and office / laboratory equipment. It will in general work with most Wi-Fi enabled devices.